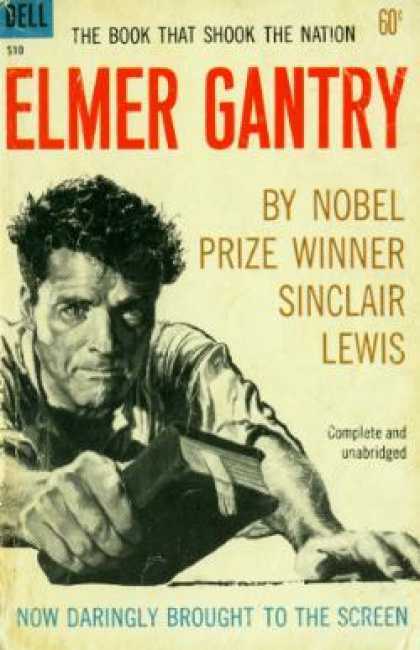 In American literature, the biggest religious pretender of all time is probably Sinclair Lewis’ Elmer Gantry. While most of us have not read the book, we may remember the movie. The film was a 1960 masterpiece starring Burt Lancaster in an Emmy-winning role as the charismatic but corrupt evangelist. Gantry begins his career in the early 1900s at a Baptist Seminary in Kansas preaching at a little country church while trying to seduce the daughter of one of the deacons. Eventually he becomes a traveling evangelist who steals from the till, chases skirts, and stays drunk most of the time; but his preaching is phenomenal, so he always has a crowd. After working his way through the Baptists and the Pentecostals, he becomes a Methodist, rising through the ranks until he is pastor of a huge church in New York City, and the president of the “National Association for the Purification of Art and the Press.” Gantry drew larger and larger crowds, and would personally lead raids on the red-light districts busting brothels, bars, and speakeasies. Granted, the evangelist type is an easy mark. Public religious figures are easily labeled as “hypocrites and charlatans.” Gantry wasn’t the first and he certainly won’t be the last. But his real wickedness was not his sins. We are all made of clay. It was his two-faced dishonesty. He did what he did, not out of love for God, but out of love for the applause of the crowds. He did what he did out of pride, ambition, and self-glory. He was not performing for his Maker; he was performing for the audience. That is hypocrisy. The word “hypocrite,” in its original context, is not a negative description. It is a great old word right from the Greek and Roman theaters of ancient times that means “play-actor.” A hypocrite was a person who played multiple roles on the stage. In one scene he or she played one character. Later, the actor would don a mask or a costume and play another character – maybe three or four different personalities on stage in a single night. But over time a hypocrite came to mean a person who changed his or her mask depending on the circumstances. As Jesus used the word, a hypocrite was one who played to the crowd. He or she was someone who performed for the audience – like Elmer Gantry – and at points, like every one of us. In the Sermon on the Mount Jesus said that hypocrites “receive all the reward they will ever get.” If you play for the crowd, he inferred, if your ambition is to draw attention to yourself, then when you get it, you earned your pay. There is no further reward, benefit, or other prize. God has nothing for you but an empty hand. Alternatively, Jesus offers a healthier way. “When you give,” he says, “don’t let your left hand know what your right hand is doing. When you pray, go to a closet and shut the door. When you sacrifice for a cause, don’t broadcast it.” In other words, keep your religious activities on the quiet side; as much as possible, keep it between you and God. Otherwise, you risk corrupting what would be a good deed. No matter what it is: Missionary work, teaching, preaching, giving, praying, singing, organizing, helping – if it is done to impress or draw the attention of others, no matter how noble the act, it is wrong – for if it is not driven by love for God and neighbor, it becomes driven by pride and ego. My friend Landon Saunders said it superlatively many years ago. Commenting on the religious tendencies for show-and-tell he suggested that we, “Wear our religion like we wear our underwear; make it rarely visible.” That’s good advice, indeed.